The Matrix Powerwatch is unlike any other watch in the market. It runs solely off of body heat. Over the past five years, tech startup Matrix Industries has been working on a revolutionary product called the MATRIX PowerWatch. The watch is the first of its kind to use thermoelectric technology, harnessing body heat as its sole source of power. 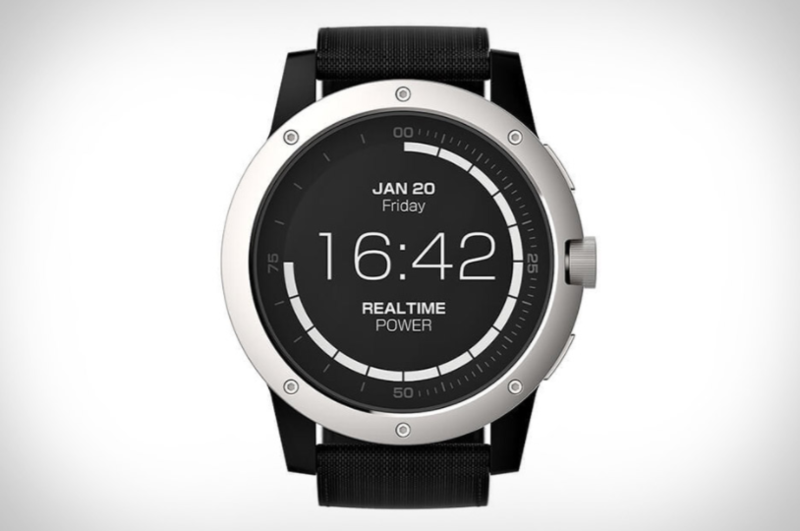 Since the PowerWatch is powered by body heat, users will never need to recharge the battery. When the watch is taken off, it simply goes into sleep mode, saving necessary data. Once the watch is put back on a wrist, it powers up and is ready for use. The watch measures the amount of heat a user’s body is giving off using its thermoelectric technology. As a result, it shows an accurate amount of calories burned. PowerWatch also tracks sleep quality and the number steps taken while it is worn. The PowerWatch is very durable and can be worn for most activities because it is made of aircraft-grade aluminum and is water resistant up to 50 meters. 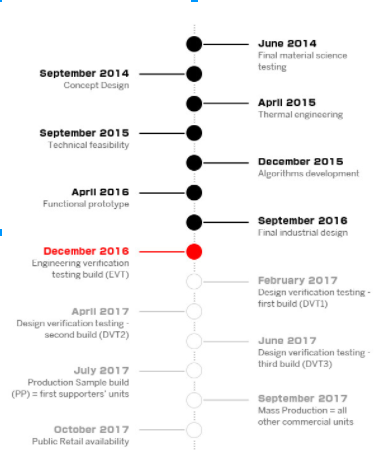 Above is timeline depicting the company’s progress over the past couple years. While the PowerWatch does not have nearly as many features as the Apple and Android watches, it does connect to a smartphone app that will be available on iOS and Android devices. The app keeps track of daily, weekly and all-time records and trends for the user. Similar to Fitbit, users can hold competitions with friends that update directly on the app. In order to obtain the funds necessary to mass-produce the watch, Matrix Industries set up a fund raising campaign on the crowdfunding website Indiegogo.com. Matrix’s initial goal was to raise $100,000. Currently, with just a few days remaining for the campaign, over $785,000 have been pledged. The PowerWatch is currently listed on Indiegogo as being in the prototype stage. This means that Matrix Industries has successfully created a fully functional version of the product. By October 2017, Matrix Industries plans to have the MATRIX PowerWatch available to the public in retail stores.